Hi steemit! 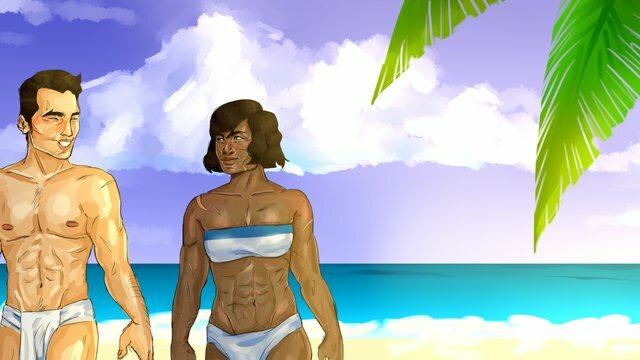 The other day someone very nice messaged me and asked me to draw them Mako and Korra in a beach/island scenario. I'm not particularly skilled in the art of background making, but I tried my best, and it was pretty good practice! As soon as I was done editing the video I noticed a couple of mistakes, as is usual, only noticing stuff after you're done with it :p , but what's done is done! And since I managed to pinpoint those issues, next time I'll do better. 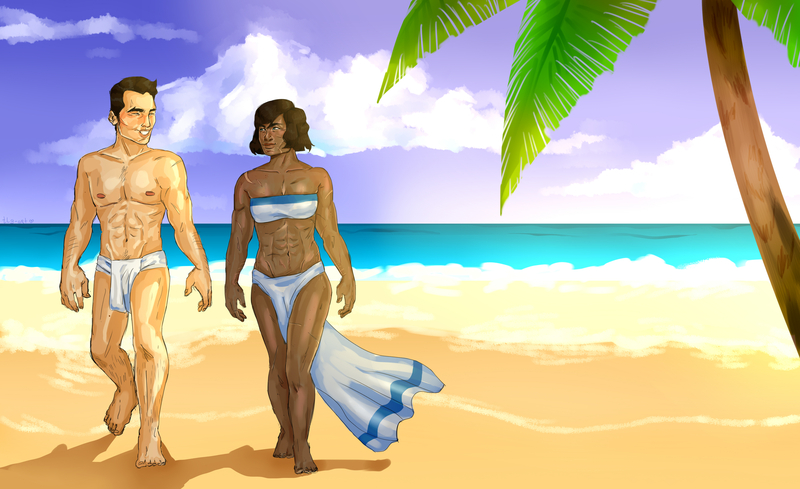 But there's also a bunch of stuff that I really liked how it turned out, like the palm tree, as well as the little scars/details on the characters that make them look imperfect, which for me is a good thing, because I think it makes people look more human! Anyways, see you all next time! You have such a unique drawing style The Legend of Korra has a lot of fan art (myself included), but your interpretations of the characters is fresh. Thanks for sharing!